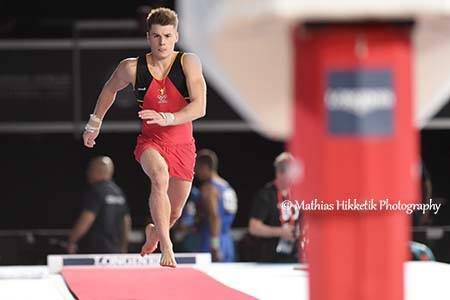 Belgian Gymnastics: A reflection on Worlds: what's next? A reflection on Worlds: what's next? On Sunday night, the lights were turned off in the Olympic Arena in Montreal, putting an end to the 47th World gymnastics championships. In Montreal, our Team Belgym showed promises, talent, and that hard work always pays off. With an historic bronze medal and three finals, but also all our gymnasts in the top 30, future seems bright for Belgium's gymnastics. After a season packed of competitions, Maxime Gentges arrived in Montreal with high hopes and expectations, wishing to make it to the all-around final. Unfortunately, the young gymnast from Malmedy fell short and missed the final for a point, placing 29th with a total score of 76.364. Although this result is not the one he was hoping for, Maxime's performance in Montreal remains a great achievement, placing in the top 30 at Worlds, his best result. With a nagging wrist injury, Maxime kept pushing and gave his best, but will now have to undergo surgery. No doubt he'll be ready for the 2018 season, with his focus on the European and World Championships. On the women's side, three gymnasts represented our country and they represented it well! Let's start with Maellyse Brassart. These Worlds were her very first big championships since she joined the seniors ranks in January. Injured just a few weeks ago, her status was uncertained until last minute but she ultimately was ready for the all-around, where she can score in the 53s. 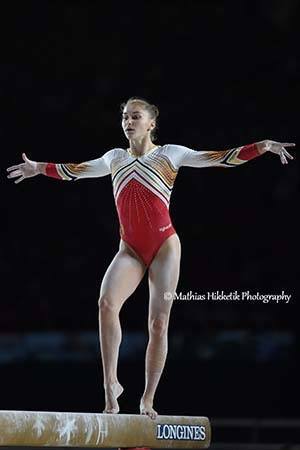 In Montreal, she showed a lot of promises, especially on floor and vault, her strongest apparatuses. Even though she finished third among the Belgians, her 25th place in qualifications is outstanding and promising as she can do even better, having to call a fall on bars. Then comes Rune Hermans. The 18 years old is a veteran in the team, participating in her second World Championships. Two years ago, in Glasgow, she was then the baby of the team, but was already a star in the making, reaching the all-around final and placing 19th for her first major championships. As she told to Sporza before leaving for Montreal, she hoped to do better in Montreal. And boy she did! She qualified for the all-around final in 21st place, despite a fall on beam. In final, Rune was rock-solid, showing amazing lines and strong performances on floor and bars. With a total of 52.299, she ranked 11th in final, which is the second best results in Belgian's gymnastics history. In my opinion, Rune has everything it takes to be an even better all-arounder in the future, and should be a lock to the team in the coming years. And finally, we have Nina Derwael. What more can we say about Nina? The words historical, magic, unbelievable, amazing have been used so many times in the past 14 months, starting with her incredible performance in the Olympic Games. Less than a year later, she made a name for herself as the new Queen of the uneven bars, being crowned European Champion in Cluj-Napoca, the first ever European title in Belgium's gymnastics history. With all the pressure that comes with this medal, she worked harder than ever, upgrading her bars routine, but also her beam and floor. Because Nina is so much more than just a bars specialist. She's an all-arounder first and foremost. In the all-around final, she placed 8th, the highest ranking ever achieved by a Belgian gymnast, male or female, at Worlds. But the best was yet to come. She knew - we all knew - she had the potential to medal on bars. Nina made (once again) history by qualifying for the final, being the first female gymnast to qualify for an apparatus final for our country. No matter what, she had put her mark on this year's World Championships. But she wanted more. With 15.033, Nina not only broke her personal record, she became the first female gymnast to bring home a World medal, the first World medal in 104 years for Belgium (last time was in 1913 with Pierre Hentges winning a bronze on parallel bars. Then, only 5 countries were taking part at Worlds). Historical. Magic. Unbelievable. Amazing. The hardest now will be for our gymnasts to stay focused and keep training. The next major competition will be the European Championships in August 2018. 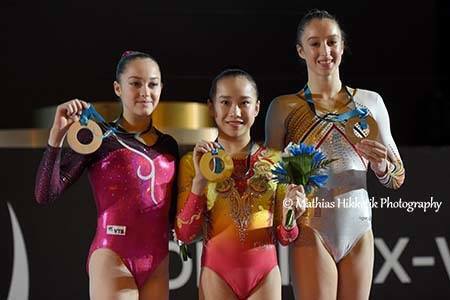 No doubt that our gymnasts' performances will be a big push for the next generation but also to the rest of the national team. Next year, the Road To Tokyo begins. And we'll be in the stands, cheering for our heroes.